Since 2012 government regulations regarding foreigners have relaxed and tourists are able to experience the fascinating sights of Myanmar. 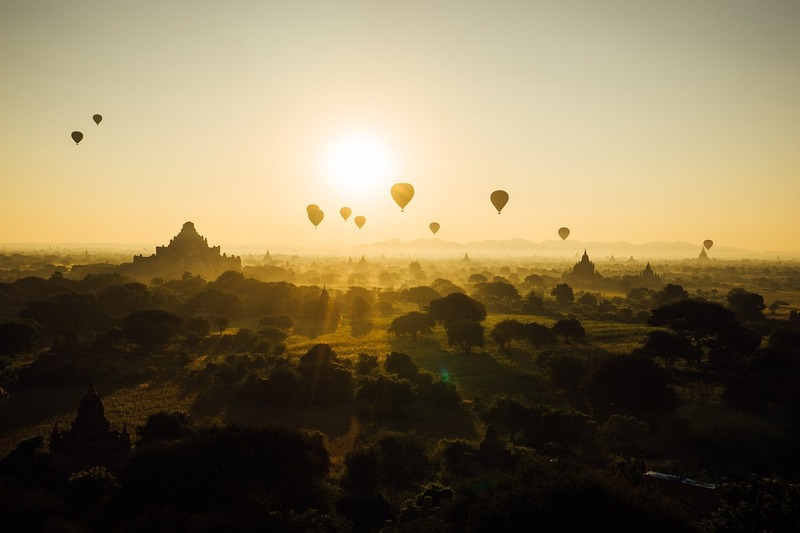 Bordered by India, Bangladesh, China, Laos and Thailand, you will be left in awe of the breathtaking landscapes, wonderful temples and natural beauty of the country formerly known as Burma. 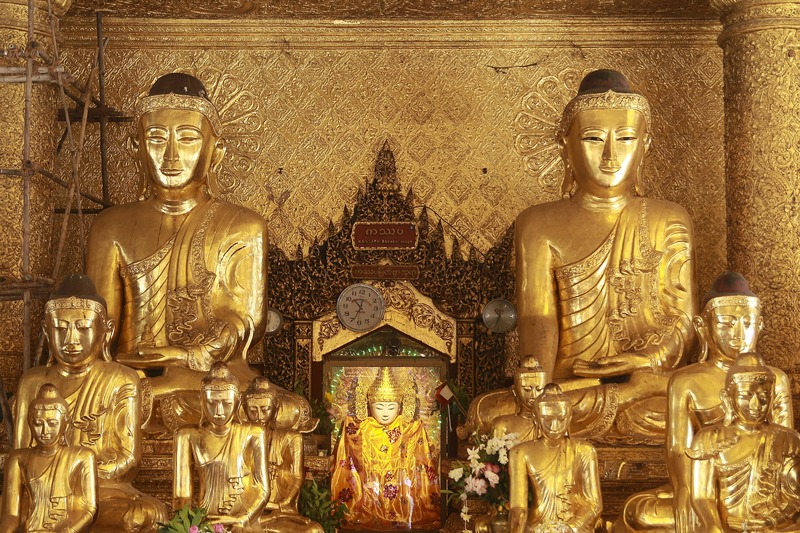 Located in Yangon, Shwedagon Pagoda is a 326 foot tall gilded stupa (temple) that is considered to be the most sacred of Buddhist sites in Myanmar, as it is believed to hold relics of the 4 previous Buddhas of the current era. 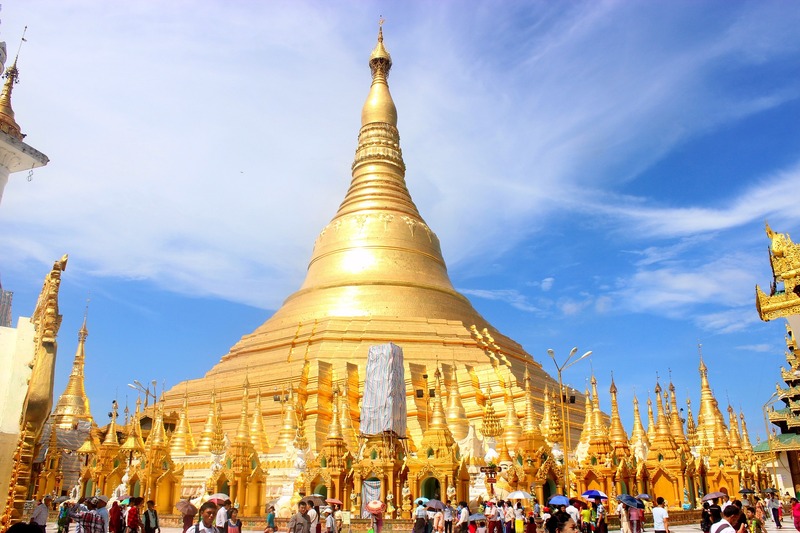 The pagoda itself is covered in hundreds of gold plates and the top of the stupa is decorated with over 4.500 diamonds, including a large 72 carat diamond towards the top. 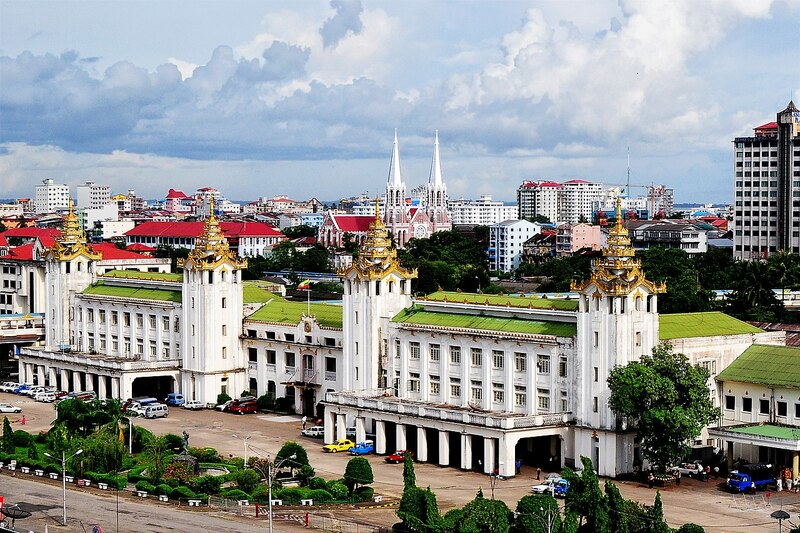 The former country’s capital is the largest and most cosmopolitan city in Myanmar with a mix of Burmese, Chinese, Indian and British influences. 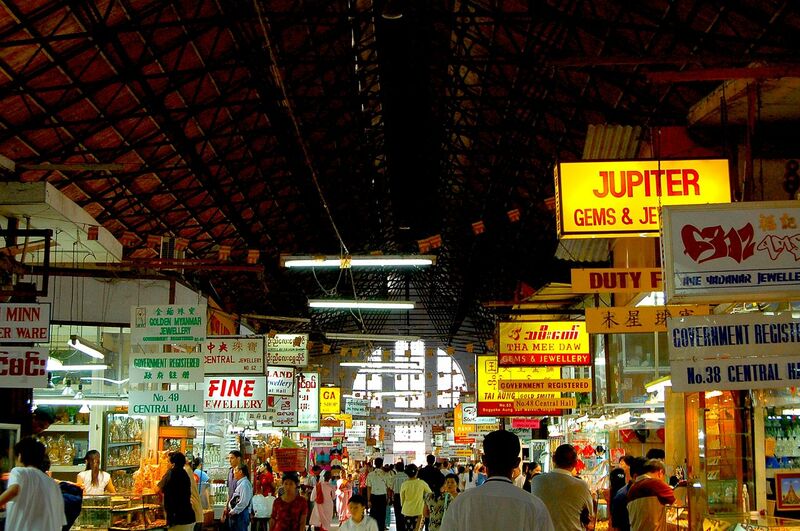 Some of the most popular tourist attractions are the pagodas and stupas located around the city, Shwedagon being the most visible, however there are plenty of other attractions to visit like the People’s Park with beautiful gardens and fountains, as well as markets galore where you can buy everything from fresh fruit, fish and traditional Myanmar handicrafts. 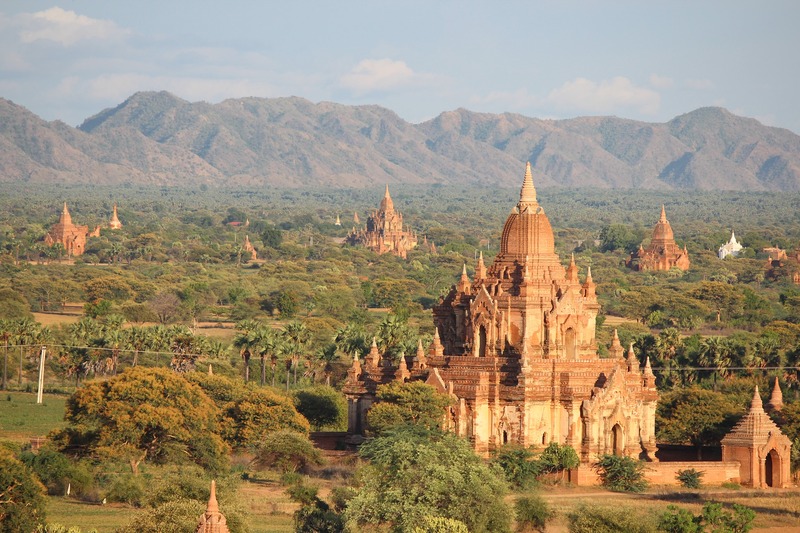 The Bagan Kings built over 10,000 stupas or temples between the 9th and 13th centuries until their reign was ended by the Mongols. Approximately 2,000 of the temples remain dotted around the Bagan Archaeological Zone and are still actively used for Buddhist worship. As such, some rules apply when visiting the temples so it will pay to do a little research to make sure you get maximum enjoyment out of your visit. 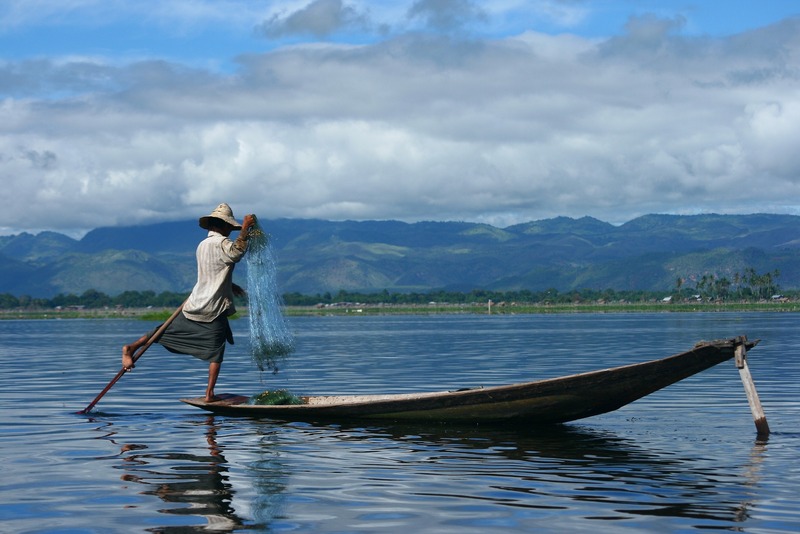 Famous for floating villages and gardens, Inle Lake is also home to fisherman who use a unique rowing style that almost resembles a ballet dance, with one leg wrapped around an oar. 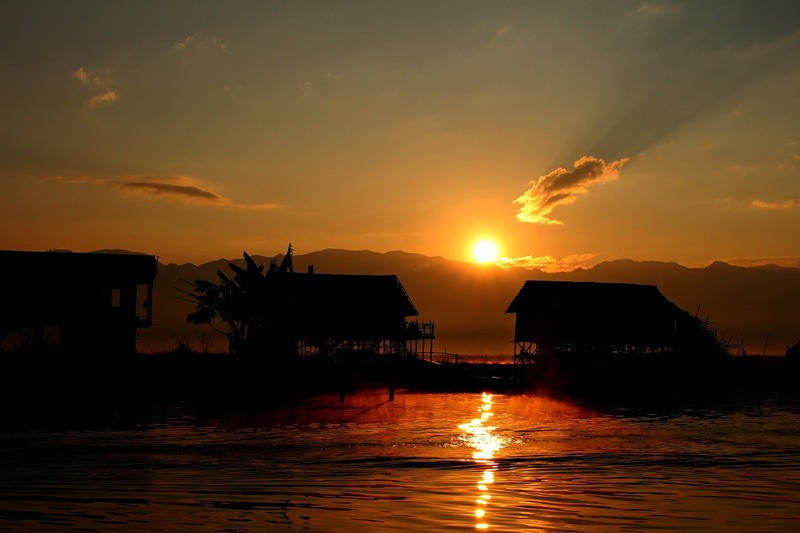 Houses built on stilts rise out of the water along the shore and the outline of pagodas and stupas dominate the horizon as well. Hot air balloon tours are popular and give an opportunity to see the lake and surrounding countryside in all its glory.